Many of us eat shrimp in our daily life or maybe occasionally but do we guys know what do shrimp eat in the ocean? I am going to share some very crucial and interesting information about it. Let us begin by saying, shrimps are an omnivore and consume a large variety of food in the ocean. Their main prey is algae, plankton, and plant particles but shrimp love eating small fishes. There are over 3000 caridean species exist. The favourite food of shrimp is tiny fishes. Besides that sometimes shrimp can eat other shrimp. The scientific name of shrimp is caridea, which is found worldwide. Shrimp are found in almost every watery environment in the world. There are thousands of species of them and adapted to a wide range of habitats. They can be found on the ocean floor deep inside, inside river beds and almost in every water world on this planet. There are various species of shrimp and live both freshwater and saltwater conditions. The majority of shrimp is found in the ocean or sea, besides that one-fourth of their population is found in freshwater. The red cherry shrimp, Ghost shrimp and Brine shrimp are few of very known species which people keep in their fish tanks. If you want to select which species you should keep in your aquarium, I will suggest you the red cherry shrimp. It is a freshwater shrimp and very well suited to the tank environment. What Do Shrimp Eat In The Ocean? 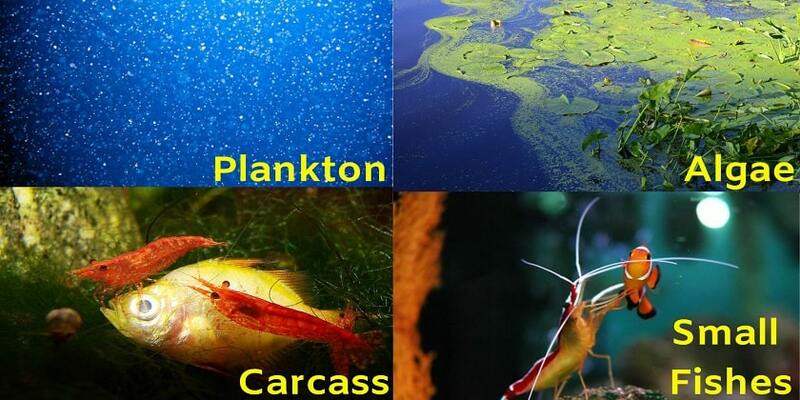 Plankton: –These are the various and diverse organisms that are live and found in the large bodies of water. They are very small and microscopic and float in the sea or fresh water. Algae: –Algae is a typical and non-flowering range of plants that includes seaweeds and many single-celled forms. It is easily available in the large amount for the shrimp. Small fishes: –There are many small and tiny-sized fishes in the water. This is the favorite diet of shrimps. They eat these tiny fishes usually and there are so many varieties of these small fishes exist inside deep of the ocean. Carcass: –Carcass is a dead body of animals. 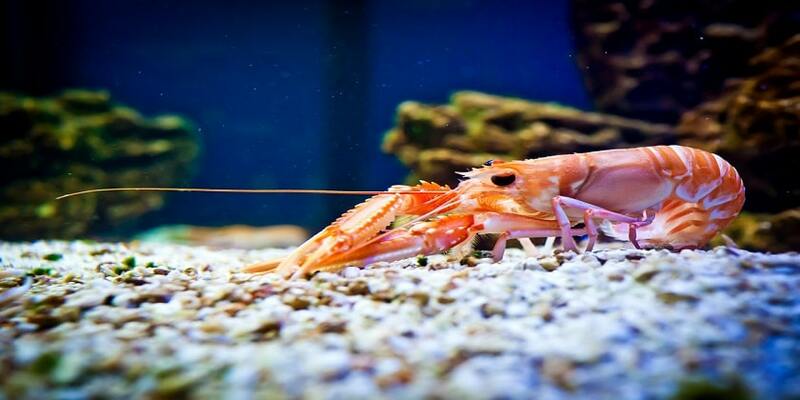 Shrimp eat dead animals that are much larger animals such as sea snails, clams, fish and whales. By eating the dead animals they contribute to cleaning ecosystem. What do baby shrimp eat? The baby shrimp cannot eat the big bites of the food so crushed feed is recommended for them. When the young shrimp is in early larval stages, it will eat the small things by floating on the top of the water. 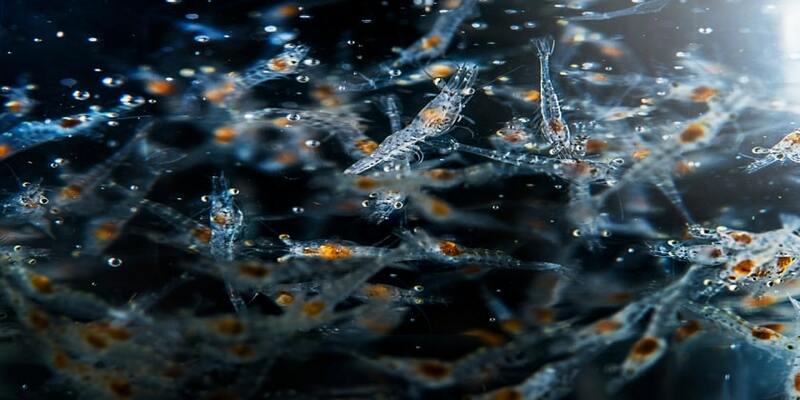 The baby shrimp mainly eat plankton and algae. If you are a shrimp farmer you can feed them various type of food which manufactured specifically for baby shrimp. 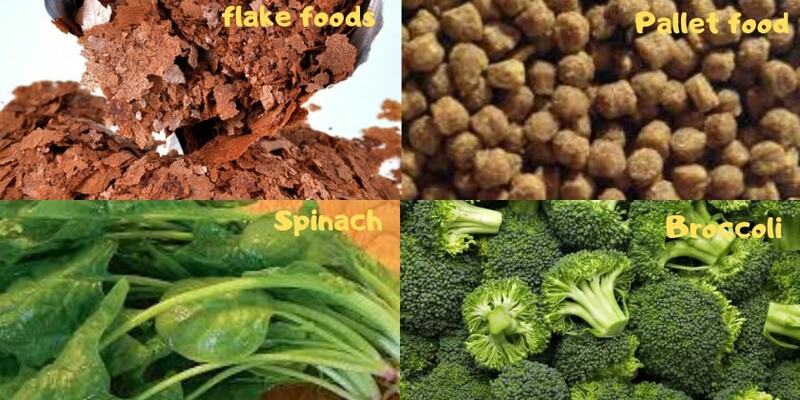 This food is easily available at online and offline pet stores. The availability of the plankton is usually less in the tank as compared to the ocean. The difference of the diet is only plankton between farmed and wild shrimp. 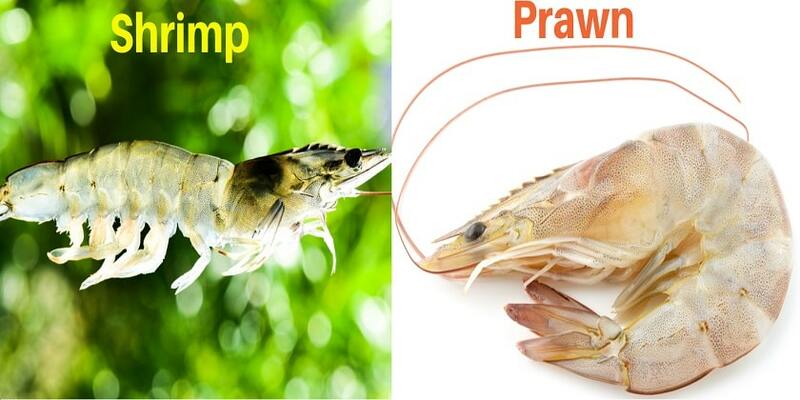 The food for baby shrimp which is available in the market is a powdered rearing food for ornamental shrimp that is rich in protein, containing zooplankton, natural vitamins, minerals and high levels of Omega 3 fatty acids. It provides young shrimp with healthy growth. The Yellow SunGrow Baby Food is particularly designed to assist baby shrimp in living. Once you scoop in some SunGrow food powder, this useful yellow powder can begin to hatch and grow into microorganisms. So as to exist, baby shrimp ought to receive essential nutrients from the food they eat. Glasgarten baby Shrimp Food contains all essential proteins and amino acids that are therefore necessary for healthy growth. Extremely digestible carbohydrates and unsaturated fatty acids (PUFA) deliver the mandatory energy for ecdysiast. It has fastidiously chosen protoctist, vegetables and herbs, that provide the baby shrimps with micronutrients. All the nutrients contained during this food area unit extremely bioavailable. The powdery small granules type a fine filmlike layer on all the surfaces within the tank. The CSF spinach powder is high in silicates. It helps shrimps and crayfish change their skin. The fine powder easily spreads through the whole aquarium and this makes the food good breeding food. It is accessible for baby shrimp easily. A little bit on the point of a knife is enough for 10 baby shrimps. It is recommended to give this as supplementary feed 2 to 3 times a week and avoid feeding them in too much quantity. What do farmed shrimp Eat? The shrimp will eat almost everything as they are scavengers. You can feed them a veggie diet mixed with protein, it will provide them with nutrients for healthy development. When you are feeding them veggies, make sure to cut them is small pieces and its better if veggies are boiled. Furthermore, there are many ready to eat commercial foods are available in the market for shrimp you can go with. Those foods are absolutely healthy for the growth of your shrimp. Select commercial food with the best ingredients. This Shirakura food is formed from organic algae, not from unhealthy soy & corn like generic food packs within the market. it’s for pretty much every kind of shrimps, particularly redness, amanos, tangerine tiger and blue velvet ones, love Shirakura food. This food has a firm flake kind feature. It doesn’t crumble simply and does not cloud the water. it’s long lasting and provides plenty of tasty feed for your crustacean pet. This crab food is nice for adding additional Calcium for invertebrates and shrimps. The pellets sink at once and decay terribly slowly that makes it last for an extended time within the water giving foragers to seek out it. It does not cloud the water or produce a large number and stays intact for a couple of days once left untouched. There’s no copper listed within the ingredients. Red Cherry Shrimp love this. 3. Omega One Sinking Pellets. Omega One Shrimp Pellet food is a complete food for all bottom feeders especially shrimps and fishes. It is made with whole fresh Seafood from sustainable fisheries and rich in nutrients. They are high-quality shrimp pellets. These shrimp pellets stay in the water for a long time without melting like others. The lifespan of a shrimp is 1 to 2 year. Female is capable of storing the sperm from multiple partners. A female shrimp will produce a large number of offspring. Mother shrimp lay 50000 to 1 million eggs which are fertilized on the bottom of the water. It takes only 2 weeks in the hatching of eggs. The little larvae float up to the surface of the water. There are several larval stages they will go through, to become a tiny version of adult shrimp. Then they go back to the bottom of the ocean or water to survive and become an adult shrimp. Shrimp eat mainly small fishes in the ocean. It can survive up to more than 16000 feet, on the bottom of deep water. Shrimp look slender with long muscular abdomens. The carapace of shrimp looks cylindrical. They look somewhat like lobster and prawn but have so much difference amongst them. Shrimp eat the number of things in the ocean. The antennae of shrimp are usually long, reaching more than twice the body length in some shrimp species. They have well-developed pleopods(swimmerets) and slender walking legs and are more adapted for swimming than walking. Shrimps are very closely related to the prawns. Generally, people get confused differentiating both because having similar looks, but both are different creatures. They vary in gill structure and structure of second abdominal segment structure. Sometimes prawns are said to be large shrimp or freshwater shrimp. How Shrimp Help To Clean Water? Shrimps are doing a lot of work to clean water and preserving the ecosystem. In the water, there are so many small particles and other things which pollute the water. These scavengers pick each and every small material on the bottom and clean the water by digesting the insects which are polluting the water. Shrimp is the most common seafood since a long ago. 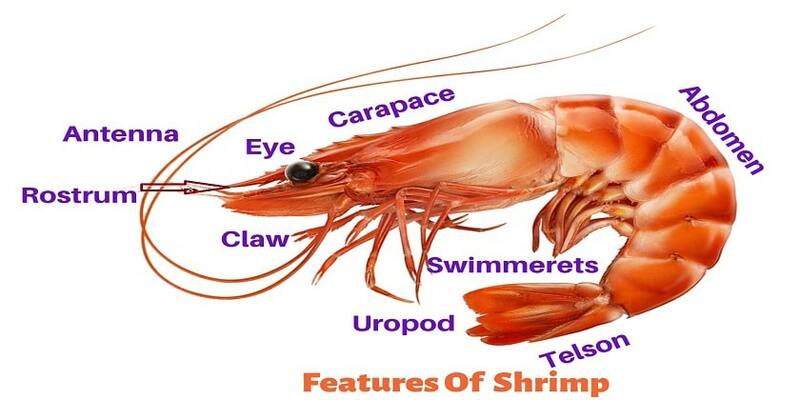 There are thousands of species of shrimp in which 20 species are most commercial and edible. Shrimp is very low in total fat which is about 1.5 grams per serving. That is with almost no saturated fat at all and that is good for the arteries. It contains omega-3fats which are very important for cardiovascular health. As per the studies, even shrimp does increase bad LDL cholesterol, but it actually increases good HDL cholesterol slightly more. Shrimp is a heart smart diet as long as it enjoyed in modernization. It can be good for health eaten boiled, baked or grilled and not served fried or drowning in butter. Shrimp is high in calcium, iodine, and protein but on the other hand, it is low in food energy. 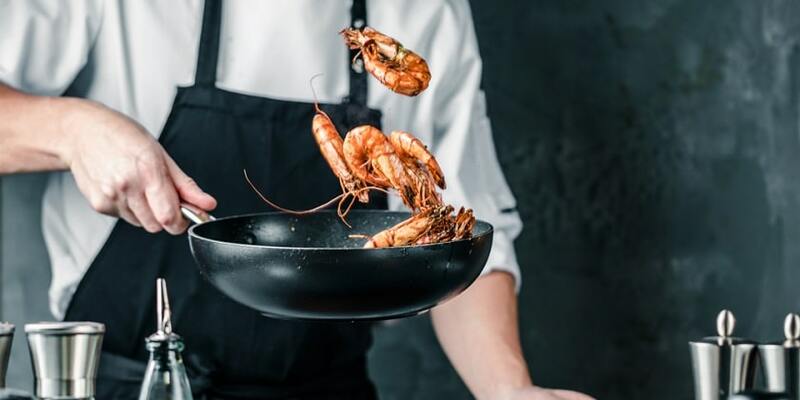 A shrimp based food contains a high level of cholesterol, from 122 mg to 251 mg per 100 g of shrimp, depending on the method of baking and serving. Do you eat shrimp…? Let us know how you find this article about what do shrimp eat in the ocean. You can also share any information you have about shrimp in the comment section. Award winning family attraction and one of the most exciting wildlife attractions in the country, with over 2,000 animals from around the world and set in 50 acres of beautiful parkland and gardens.